So, having already establishing the philosophical piece as to why a person would want to write historical fiction, now how does one approach to writing it? First of all, thank God for the era of the internet! But don’t rely on it completely. Obviously it can allow us to reach beyond our backyards and allow us to communicate to others in their professional fields to help us tighten the knowledge we seek. And it’s an awesome force for a quick reference. I’m amazed that you can download archives which subtracts travel time to the minimal. Nevertheless, like all cautionary tales of unlimited power, use the net wisely and don’t believe everything you read. Between keeping a stack of notes and contacting people who are willing to help you, double check the facts. Remember, you are like journalists for the past. I still worship the library. Not only can you check out books- for free, but you can also check out movies, documentaries, and music- for free. To submerge yourself in a particular world as a means to understand the culture, the language, and mindset of that generation can be found both the public and university libraries. Because civilization has been recorded for at least six millennia, it’s astounding to rediscover stories through books, (both fiction and nonfiction,) music, art, music, photographs, and more recently, film. These are vast resources you can relate to, and in turn, you can exploit when recreating your story to help readers relate to as well. The last thing I want to cover is how to use the information you’ve collected. The important factor is to never loose sight regarding the art of good old fashion storytelling. Without the proper development of characters and storyline all you have is a bunch of facts awkwardly stuffed inside your story. Sara Gruen’s Water for Elephants, Kathryn Stockett’s The Help, David Guterson’s Snow Falling on Cedars, and Jeffrey Eugenides’ Middlesex are prime examples of interweaving very personal stories in the midst of historical backdrops. One way to analyze the foundation of a story is by asking simple questions: What does my protagonist(s) want at the beginning of the story? 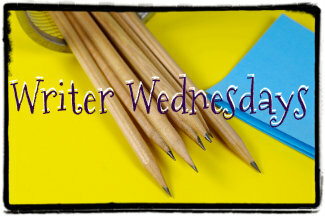 What challenges does my protagonist face to acquire it? And does my protagonist actually obtain what he/she wants or discovers something else? And while evaluating these questions then comes the setting the scenes with historical facts to reconstruct an era. By colliding elements of story and research, much like the collision of the Big Bang Theory, you bring life purposely and unexpectedly with a hint of violence and romance, and hope your readers will understand and benefit from your work. Writing history doesn’t have to be tedious. And writing it in a fictional context doesn’t devalue the significance of history. In my opinion, it enhances the reading experience. It can preserve a sense of integrity that allows us to criticize, moralize, and to be informed not only about our past, but how we can be a better society today. Well . . . one can also hope at any rate! K.P. Kollenborn is my pen name which I chose for two reasons: One- it is my mother’s maiden name. We are grandchildren of German immigrants who migrated from Texas to Kansas prior to the American Civil War. Two- it’s not a very common surname and no doubt I’m somehow related to all the remaining Kollenborns in the United States one way or another! I am fortunate to have been trained by one the top ten writing teachers in the US, the late Leonard Bishop, and author of Dare to be a Great Writer. I owe my love of writing to him. When I had graduated Kansas State, I wrote historical book reviews for The Sunflower Press about the Japanese-Americans. In addition to writing, I draw, paint, create graphic design, compose music, and am an amateur photographer. I have been writing since childhood however I do have a B.A. in History. Instead of applying a degree in creative writing, I wanted to focus on learning and understanding what motivates people of certain time periods to make them do what they did. And there are so many stories! I also wanted to learn from our mistakes and am conscious of how we’re all related to each other. My husband and I once owned a music store, a pizza delivery business, and several internet businesses. I also have dabbled with real estate and am grateful I got the heck out right before the crash! Sadly, history tends to repeat itself in important ways. Currently my family continues to live outside of Kansas City and will always have roots tied to Kansas. And to answer everyone's question: "No. 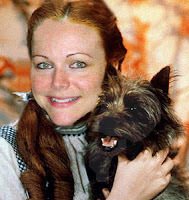 Toto doesn't live here anymore. He is deceased and has been for a very long time." 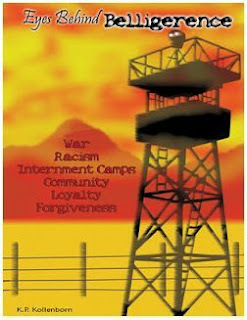 Get Eyes Behind Belligerence for FREE April 3 - 5 at Amazon. Girl Who Reads is an Amazon advertising affiliate; a small fee is earned when purchases are made through the links above. The views, beliefs, and opinions expressed in featured articles belong to the contributing author and do not necessarily reflect those of Girl Who Reads. REALLY great post, and very timely as I'm writing a book with a WWII backdrop. Thank you, thank you!